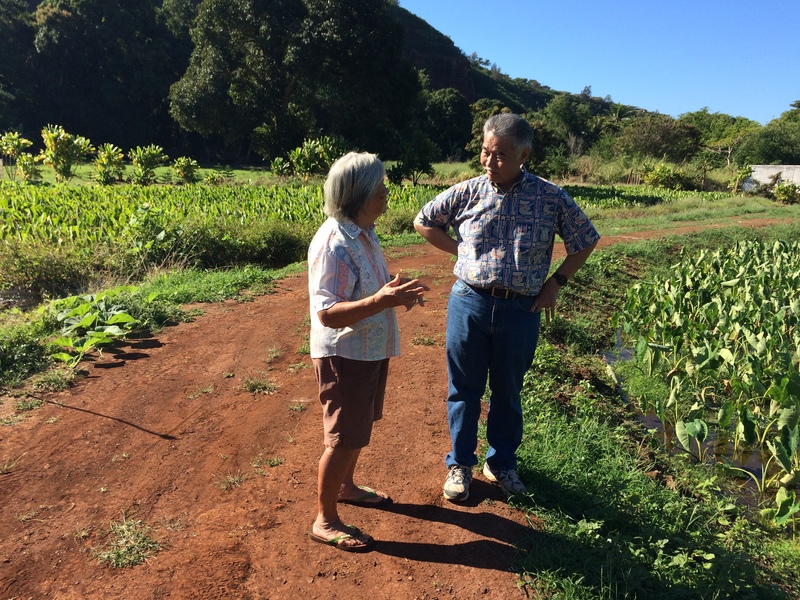 The governor talks with Lois Hashimoto, 85, who works in her family’s taro fields every day. The family grows Kauai’i Lehua taro and sells to the Honolulu Poi Company. We have a goal to double local food production by 2020 with the purchase of farm lands, programs that support local farmers, incentives to grow organic, and incubators to help entrepreneurs create new food products and businesses. 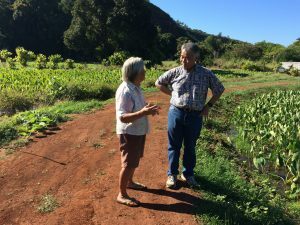 With the Legislature’s help, we purchased the Galbraith lands on O‘ahu, adding more acreage and employing 50 new farmers. We completed the purchase of the Turtle Bay mauka agricultural lands to preserve it for future ag use. Combating invasive species is a big part of protecting and expanding agriculture. That’s why we developed the state’s first inter-agency biosecurity plan, a 10-year blueprint to protect the state from invasive plants and animals and are proposing the creation of an invasive species authority to direct these efforts. 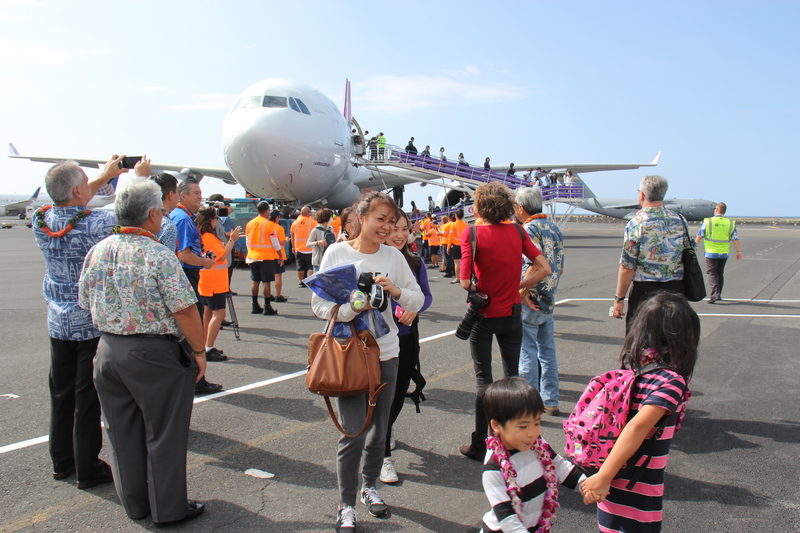 Visitors from the inaugural flight arrive in Kona International Airport from Haneda, Japan. The Ige administration worked closely with our Congressional delegation and the U.S. Customs and Border Protection to reestablish a federal inspection service facility at Kona International Airport. 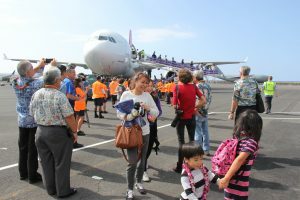 There are some who doubted we could meet the deadline before the first scheduled Hawaiian Airlines flight last December. But we did. It’s estimated that one daily international flight to Kona will result in more than $160 million in annual visitor spending. And we are in discussions with other airlines who are looking at Kona as a potential travel destination. International visitors will also spend tens of millions of dollars at local businesses, further boosting the economy and generating jobs.